Nuša has taken part in the Slovenian national Eurovision selection – Ema several times, with the most renowned performance being the one in 2001 when she won and later finished 7th in the Eurovision Song Contest in Copenhagen, which is still the best Eurovision result for Slovenia up to date (shared with Darja Švajger’s result in 1995). At this year’s EMA, Nuša will present a powerful, dynamic and cinematic song Tip Top, the production of which included a recording session with a symphony orchestra and three different countries. In her opinion, this is one of the best song she has ever recorded and immediately caught her attention. 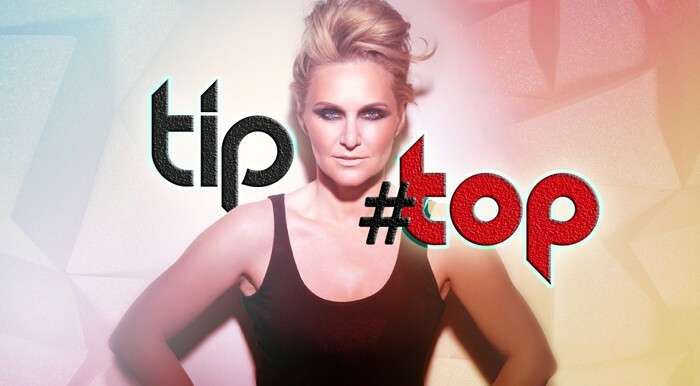 The writers behind Tip Top are Žiga Pirnat and Andraž Gliha, who are no strangers to Eurovision selections. Together or separately, they have competed in national Eurovision selections in Slovenia, Ireland, Romania and Ukraine. Watch EMA 2016 live on TV Slovenia 1 on Saturday, 27 Feb, starting at 8 pm CET.